Love these pretty pearl embellishments! And these jeans are under $100. Been on a major red kick this season – love it with this camel coat! Beautiful look! Love ❤️ it! I love the outfit! Simple but classic! Love the red details and these jeans are amazing. Loving this camel coat so much! The pop of red is gorgeous! Your coat and bag are outstanding pieces! Absolutely loving this casual combo! Major yes to those jeans, they’re gorgeous!! I think the combination of camel and red is beautiful! I especially love the little detailing on the side of your jeans! You look so good Christine! Loving the red on that coat! Camel and red so beautiful together ! You look gorgeous . Love your stilettos 👠! Love this look! It’s so simple yet sophisticated. 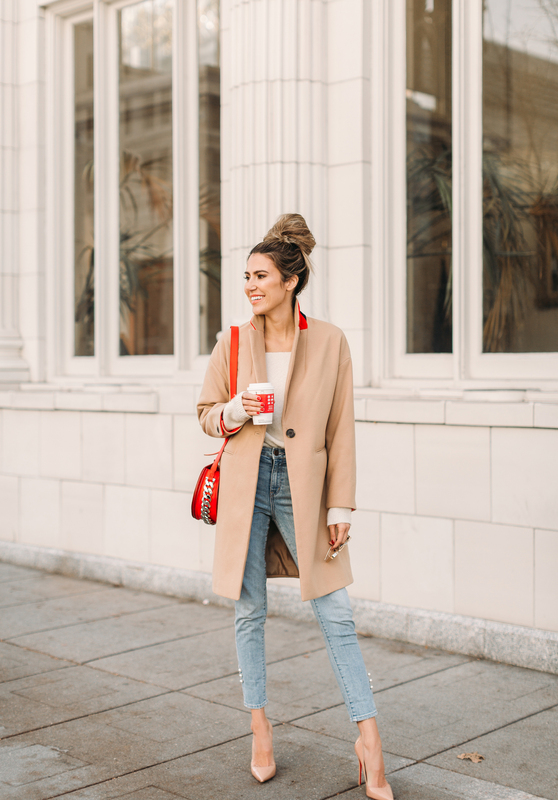 The red adds that pop of color while keeping it classic with the camel coat. I love how adding a camel coat adds that certain something. Just gorgeous! Love this look. You didn’t link the red bag. Where is that from? love it! 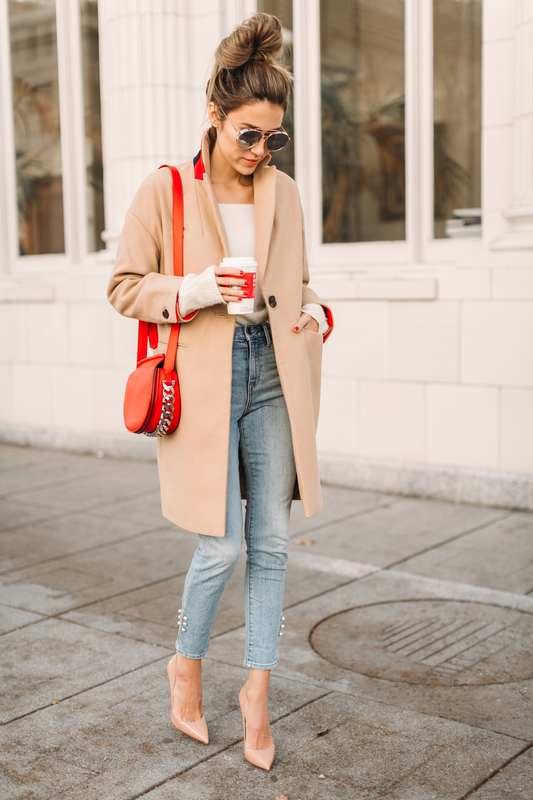 Such a gorgeous outfit and I’m so in love with the combo of the red bag and the camel coat! I love those pearl accents! at street side i love the red contrast on this camel coat.